It began with a humble request to fix a lawn mower at a monastery in Sydney’s outer southwest—back in the early 1970s, when the city of Campbelltown was a fraction of the size it is today. From there, a string of incidents kindled Brian Murnane’s commitment to housing disadvantaged people across NSW, writes Belinda Cranston. Educated by Josephite nuns with a social justice bent while growing up on the far north NSW coast, Brian was called up for National Service in 1971, when Australia’s involvement in the Vietnam War was drawing to a close. Because the incoming Whitlam Government opposed the war, Brian remained in Australia while completing his two-year long, armed service training. It was a friendship with Kevin Ryan, a chaplain who ran leadership courses for naval personnel, that saw Brian chance upon a monastery at Campbelltown. Ryan was interested in knowing if it could be used for weekend retreats. Brian decided to go along with him. When he was asked by the head of the monastery’s retreat centre, Fr John Power, if he could fix a lawn mower, Brian returned a couple of weekends later to take a look at it. From there he was asked to stay for lunch—and after tending to a few more requests, for dinner. When Brian learned that Brother Kieran, who milked the 300-acre property’s ten cows, was going on leave, Brian put his upbringing on a dairy farm to good use and took on the job in his absence. To cut a long story short, Brian ended up living at the monastery for ten years. At first he went out of his way to give the impression he was still residing at his army base in Moorebank. He was later granted permission to live offsite by his commanding officer’s deputy, who shook his head and looked at Brian in disbelief. ‘He said: “I know you national service men will do anything to get out of the army, but I’ve never had one ask if he could go to live in a monastery”,’ Brian recalls. When Brian went on to manage the monastery known as the Mount Carmel Retreat Centre, he became all too aware of a shortage of crisis accommodation in Sydney’s outer southwest. Campbelltown was at the end of a suburban railway line, and those seeking support often ended up at the local St Vincent de Paul Society. 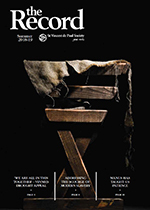 The Society in turn referred people to the monastery, which had a strong reputation for its hospitality. That said, accommodating everyone who came was a challenge. ‘Father Power would take people in’, says Brian. ‘There were about 14 priests living in the community there; and accommodation for up to 60 people. Discussions with the local St Vincent de Paul Society and Campbelltown Council’s general manager were useful to a certain extent. In any case, it was the beginning of a long association with the Society for Brian. He joined the St Johns Conference at Campbelltown in 1973 and by 1976, was regional president. In late 1973, when a former Christian Brothers monastery on a 400-acre property at Eaglevale was set to be destroyed to make way for housing, Brian took note. ‘I thought, “If they are going to demolish that building, why can’t they just turn part of it into a refuge?”’ he recalls. Construction giant Lend Lease, which owned the property, quoted $250,000 for the five acres on which the monastery stood. Brian wasn’t in a position to negotiate. ‘In 1973, it was a huge amount of money’, he says. A financial downturn and change of government in NSW saw the new premier, Neville Wran, set up what was then known as the Urban Land Council, which acquired the land from Lend Lease in 1976. The NSW state government was sympathetic to Brian’s desire to use the property for housing the homeless, and in February 1977, after a series of discussions with numerous stakeholders, he secured keys to the monastery. ‘We went from being quoted $250,000, which Lend Lease wanted, to getting it for $1 per week, and Campbelltown City Council paid the $52 per year’, he says. But there was a problem. It was going to cost $1 million to make the building habitable. So Brian and other members of the St Vincent de Paul Society’s St Johns Conference initially decided to focus on just one wing. Prayers were answered when local coal mining representatives donated $25,000. Using voluntary labour to assist with renovations, 25 rooms were made available, and the first residents moved into the building in August 1977. A full-time manager was employed a year later, when menswear chain owner Ruben F Scarf provided enough funds for someone to hold the position over three years. 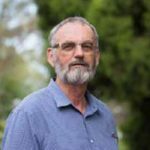 When plans for five big housing estates in the Campbelltown area were announced by the NSW Government in the 1970s, Brian was appointed one of three community delegates to the Community Services Planning Team. In the same decade, he founded the Macarthur Community Tenancy Scheme, as a special work of the St Vincent de Paul Society. The Scheme later evolved into the Argyle Community Housing Association. 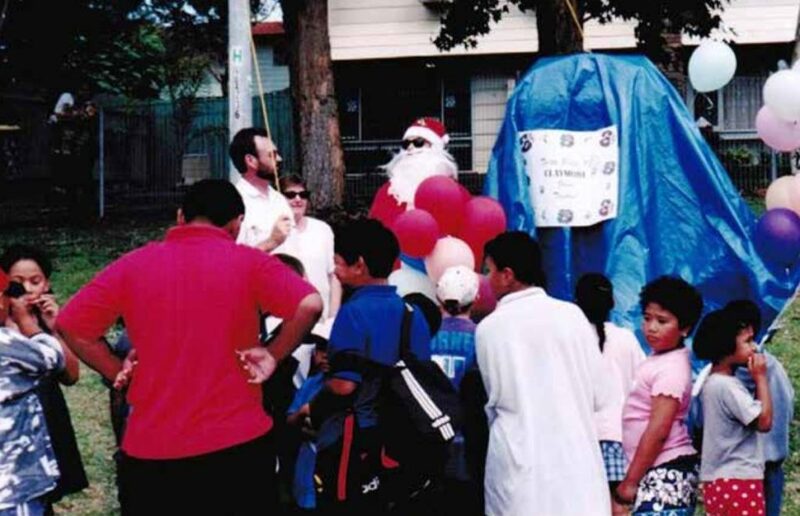 Brian Murnane (far left), with string in hand, about to release a tarpaulin covering a public phone box at Claymore, Christmas 1997. A huge challenge involved turning things around at Claymore, a public housing estate 54 kilometres south-west of Sydney’s CBD, in the mid-1990s. ‘Today, there are very few people who are prepared to put up their hand and say they were involved in planning those big public housing estates’, Brian concedes. Claymore’s problems came to a head in late 1995, when five people died in a house fire on Proctor Way. Media reports suggested fire bombing. A coroner subsequently found children playing with matches started the blaze. 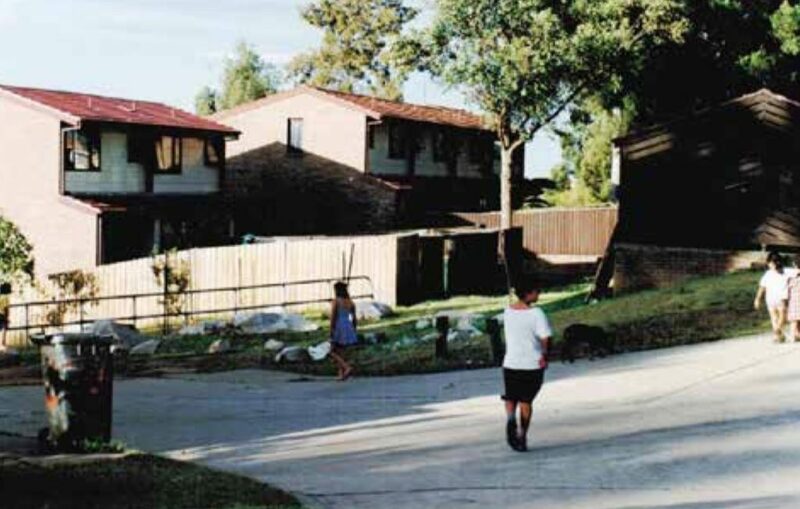 A somewhat desperate NSW Department of Housing handed over part of the troubled estate to the Argyle Community Housing Association in 1996, after making the call to leave the area. That left Brian, who understandably had some reservations about getting involved, with 25 houses in Proctor Way available for lease. They weren’t exactly snapped up fast. ‘There were 60 police incidents a month in the one street’, he says. When he wrote to 300 people at the top of the NSW housing waiting list, no one was interested. So bad that those who lived in the street were afraid to come out of their homes. ‘People would put big sheets of corrugated iron up around their fences. A lot of them had big dogs. Because they were afraid’, Brian recalls. He tried strengthening community ties in the street, through sending out invitations to a morning tea. But only three people showed up. A breakthrough came on a ‘beautiful sunny afternoon’ in April 1996, when Brian hired a barbecue and began frying sausages and onions in the middle of the street. ‘I knew people were watching because I could see blinds and curtains moving’, he said. Curious kids on bikes asked if they could have a sausage. Brian in turn asked if they could return with their parents. Before long, he had around 30 people standing around the barbeque. It gave him an opportunity to ask the small crowd what they believed was needed to make the neighbourhood a better place. Subsequently, challenges around street lighting and the lack of a public phone box were addressed. Grafitti was painted over, and more than 17 tonnes of rubbish removed. And poorly designed walkways once used as a handy escape route by people committing petty crime were blocked. ‘We built a community around the collection of rubbish’, Brian says. Within 18 months, the crime rate went from 60 incidents a month, to none. One of the first groups of people Brian housed at Proctor Way was a group of Josephite nuns. ‘I was at a Vinnies function, and came across one of the nuns’, Brian recalls. Twenty years later, the nuns are still there. Did Brian initially fear for their safety? ‘I knew that the vast majority of people that were living in the street were good people’, he says. Fast forward to 2017, and Brian is now CEO of St Vincent de Paul Housing, which trades as Amelie Housing. Against a backdrop of media reports suggesting Sydney has the second most expensive housing market in the world, the community housing company recently announced a partnership with the NSW Government’s Social and Affordable Housing Fund. Brian Murnane, pictured with NSW Premier Gladys Berejiklian and others when further funding for Amelie Housing was announced in March. The $200 million project involves the building of 305 new buildings in Sydney and across NSW, along with the acquisition of 195 properties. ‘There will be a mix of social and affordable dwellings, helping those locked out of the expensive rental market to access homes’, Brian said. New buildings will be constructed in the Sydney suburbs of Merrylands, Campbelltown and Sutherland. Other homes will be built in regional NSW, including the cities of Albury, Katoomba, Newcastle, Wollongong and Dubbo. Image (top of page): Proctor Way, Claymore (circa late 1990s).